….I pulled out all my scraps that could pass for vintage-like….and ordered some more reproduction feedsack fabric that should get here soon to add in as well. I found this lovely tutorial and block pattern and fell in love! I first tried it with one square to see if it would drive me batty. Nope! By the fourth one I was getting pretty quick putting them together. Now to do 31 more blocks. Er…… I’m hoping it can be one of those projects I can sneak a block or two in when I have a few minutes. If I tried to sew them all in one big bunch I’m pretty sure I would not be a happy or cheerful person. So up til now Sadie’s been sleeping on a trundle bed that we got from our neighbors for a steal….but the trundle doesn’t slide very easily on carpet, so we found this awesome low loft bunk bed for the girls to share! Sadie loves the ladder and Charlotte loves her “downdairs” bed. (“downstairs” for any of you non Charlotteese speakers) We love that it’s only a few inches taller than her trundle, and the fact that it makes the room feel so much lighter and open! We’ll be getting C a new mattress soon, so please don’t judge our sad little mattress underneath there…lol! We’re not moving her in til probably after Christmas anyways. 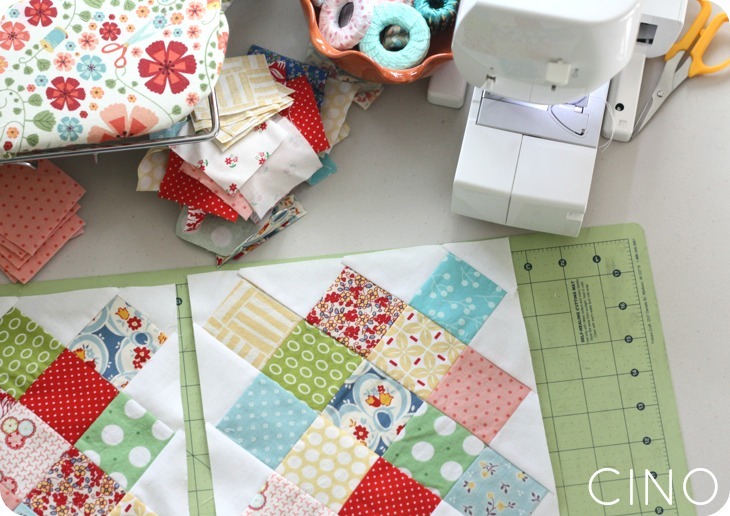 That quilt is gorgeous, I love the colors! 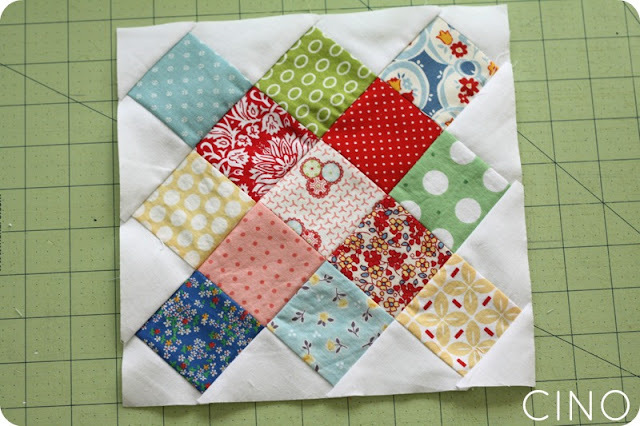 Great start to your granny square quilt!! i love the pattern! you are brave to take on such an intricate pattern! I love the colors, too! It’s so cheery! Lucky little Charlotte. I’m loving that block…the quilt is going to be gorgeous! Lucky little girl! I have the best tip for when children decide they don’t need a nap anymore! (OK this may not be a new idea but my grandmother had made this point to me and I loved it.) When they are too big for naps and can’t sleep you move on to “my time”. “My time” consists of your child still going to their room but they read in bed, draw, think…and sometimes this will still lead to a nap. The point of it is to have down time, quiet time, and “MOM” time!!! Yahoo!!! My youngest just shared that she recalls “my time” when she returned home from school! “What?” I am thinking…but it makes sense. After a day of stimuli it is a good idea to have some quiet time before coming together as a family for the evening. By the way–hats off to you and all who can make quilts. 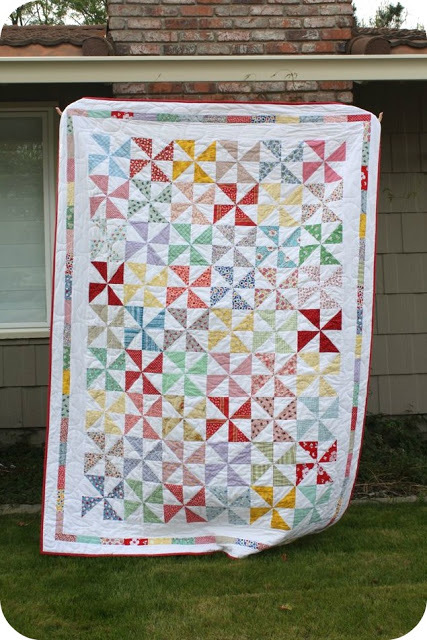 I love to sew but made one quilt 20 years ago and have never wanted to again! MAYBE for a grandchild in 20 more years!! I can’t wait to see the end result – it’s going to be beautiful! Lovely! 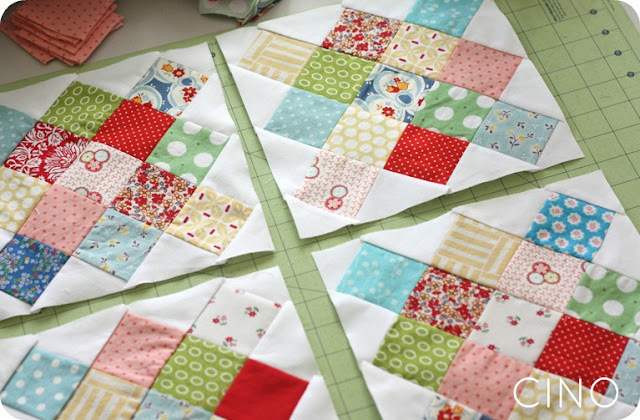 That is quite the ambitious quilt you have going on there, but it will be so worth it! Did you paint the bed, or is there a white option thats out of stock? We’ve been trying to puzzle together our house, we have just under 1000 square feet (but also finished basement with a playroom and craftroom down there, yay) and it’s like furniture tetris. I thought I could put the younger two together but I can’t trust Olivia not to touch Jackson, plus she wakes up if we go in her room at night. I have his crib in Nicole’s tiny room and it’s so cramped! We were considering a loft bed with the crib under, but we knew Olivia would be right up there and that makes us nervous, she’s a nutcase monkey but she’s only two. 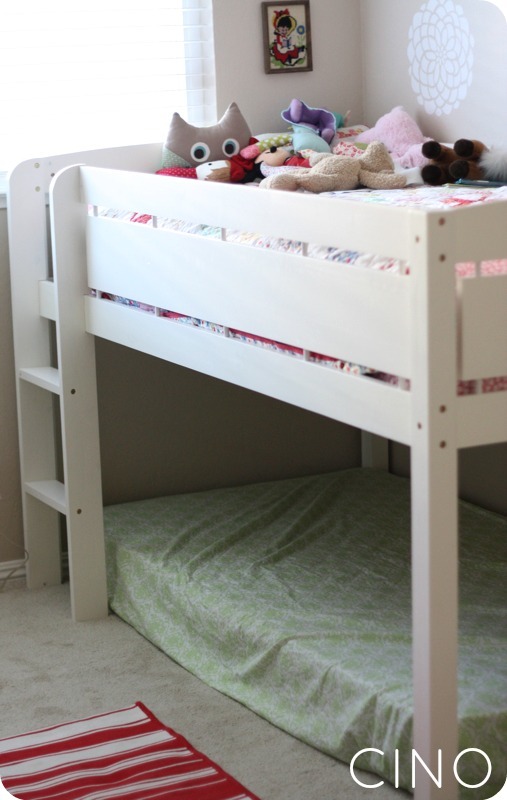 So I was starting to think about trundle beds and low bunk beds as another option, putting the girls together. How high would you say that top bunk is compared to say, your table? can’t wait to see your finished quilt!